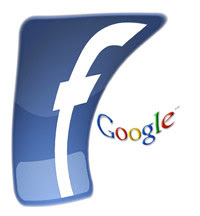 There's been a lot of talk about the traffic on Facebook and how big it is, surpassing even Google recently. What really is the consequence for the hotel sector of this kind of traffic? A report by Max Starkov at HeBS shows that certainly Facebook is one to watch. There are interesting case studies that show a real revenue comparison between Facebook and Google related links to hotel websites. But as Starkov says: "Facebook is definitely here to stay and has experienced tremendous growth, but it is not going to replace Google as a travel planning tool anytime soon. "